As the curtain comes down on this series of posts surveying the Asian strategic landscape, the final scene sets us up a lot more drama to come. Southeast Asia’s great fear is that it faces much more of the same pain in the future as it has had for the last five years from China over the South China Sea. ASEAN would love to get the offer Beijing is making Washington of a new strategic relationship. But in view for ASEAN, unfortunately, is the same-old-same-old, applied with renewed vigour by the new leadership team in China. Indeed, if the legal challenge the Philippines is mounting to China’s territorial claims  goes well for Manila, ASEAN might face an even more excruciating version of what it has suffered in the past couple of years. In that case the recent status quo might look more like a plateau of pain that’s about to be surpassed by even more pain. China’s view of its sovereignty in the South China Sea rests on a view of history—and of righting the wrongs of history—rather than the UN Convention on the Law of the Sea. If China’s view of the right bestowed by history were to prevail, as one Jakarta wit observes, then suddenly Indonesia could start claiming quite a bit of northern Australian waters based on centuries of voyages by Bugis fishermen. The South China Sea narrative involves a lot of discussion about overlapping claims, the attempts at negotiation, the effort to build Codes and now the Manila resort to international law. The problem for ASEAN is that this narrative of negotiation, rules and law is a set of responses, not the driver of events. For China, the South China Sea saga isn’t ultimately about law, it’s about power. Beijing can never fully respond to ASEAN or US calls to explain the legal basis of its sovereignty claims because that would reveal how far it’s overreaching. If you can’t argue the law of the case and you can’t win on the facts of the case, then bribes and threats are the way to triumph (and if you can’t bribe the judge, then threaten the jury!). Thus, Beijing is leaning heavily on explicit mentions of cash and plenty of hints at power. In discussing Beijing’s use of the military and economic cards in the South China Sea, Willy Lam argues  that the dispute is the most explicit example of ‘China’s newly assertive diplomacy’. This is a game that has to be played bilaterally; if Beijing ever accepted a multilateral approach it would lose much of the power leverage it’s now deploying. The bilateral mantra Beijing uses and the pressure it applies mean the centrifugal forces within ASEAN are throbbing harder and faster. China will not support ASEAN to unite against China. And ASEAN is not going to agree to be against China. And the same is true if ASEAN is asked to be against the US—ASEAN countries will be split. This is a group of small and medium-sized countries that does not want to be against anybody. ASEAN can never be unanimous in going against the big beasts and so will never form a completely united front to respond to the pressures being applied by China. Credit Beijing with doing a wonderful job of amplifying the fundamental centrifugal tensions ever-present within ASEAN. Cambodia, Myanmar and Laos are the ‘disinterested’ players: ‘Firstly, they hold no direct claims in the sea; and, secondly, they are close allies of China’. Myanmar’s status as a China ally will be deeply tested next year when it chairs ASEAN. My prediction (or hope) is that Myanmar will move closer to the ‘anxious’ category, joining Indonesia, Singapore and Thailand, while Cambodia and Laos are drawn ever deeper into China’s orbit. That’s a recipe that will intensify, not lessen, the demands from China. Imagine an Asia dynamic where Beijing is happily talking up cooperation with Washington and a ‘new type of great power relationship ’ (a ‘shadow condominium ‘or g2) while simultaneously using every ounce of bilateral pressure to pummel the individual members of ASEAN. How much would the US risk its ‘new’ relationship with China to back ASEAN—or even help ASEAN to stick together? The nightmare for Asia is a China that enforces a form of strategic gridlock where no topic can be agreed, much less sensibly discussed, because of maritime antagonisms in north and Southeast Asia. As Kevin Rudd commented in his Foreign Affairs article , the East Asia Summit and its military subsidiary (the 18-nation process convened by the ASEAN Defence Ministers) face ‘the risk of becoming permanently polarised over territorial disputes in the East China and South China seas’. A polarised process might suit Beijing quite well. China would put plenty of effort into playing nice in its shadow condominium with the US while deploying economic power in tandem with military probing in Southeast Asia. 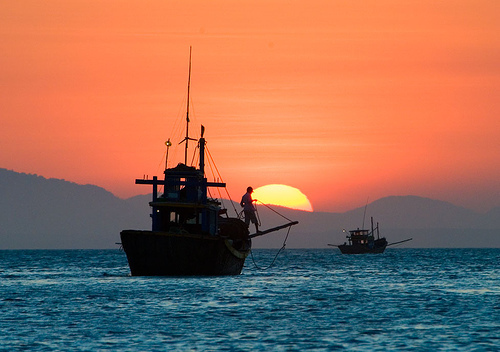 The same-old-same-old in the South China Sea means lots more pressure and pain for ASEAN.